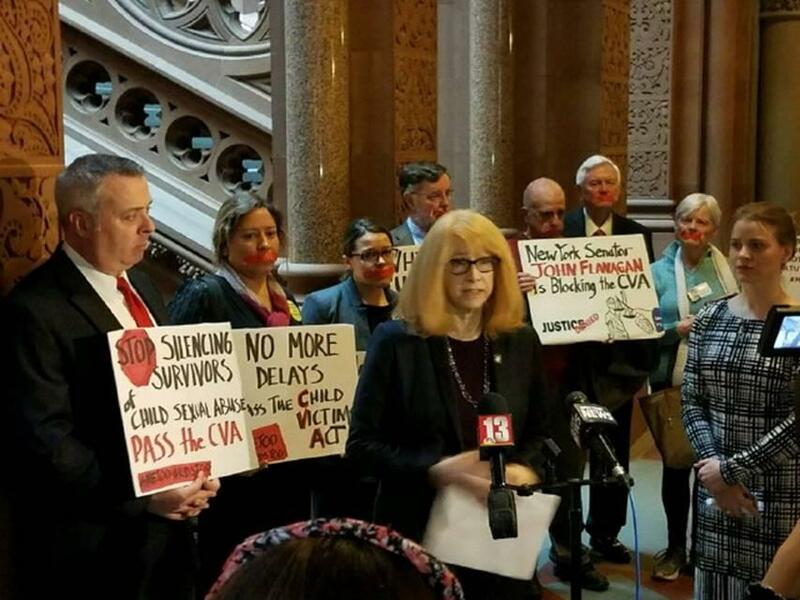 On Tuesday January 30, 2018, the two NYS Chapters of Call to Action joined a coalition of advocates to hold a press conference outside the NYS Senate chambers in Albany in support of the Child Victim’s Act. Assemblywoman Linda Rosenthall speaks while (on left) local TV personality Jason Gough and (on right) former Olympic Speed Skater Bridie Farrell listen. Connie Altamirano, second from left, a survivor, spoke to the public safety hearing later in the day. Upstate CTA joined Nancy Lorence and Connie Altamirano of NYC CTA in this demonstration. From left: Bob Corliss, Vic DeSantis, Steve Powers, and Mary DeSantis. Later in the day members of the coalition provided testimony in support of passage of the Child Victim’s Act to the joint legislative hearings on the Public Safety Budget. 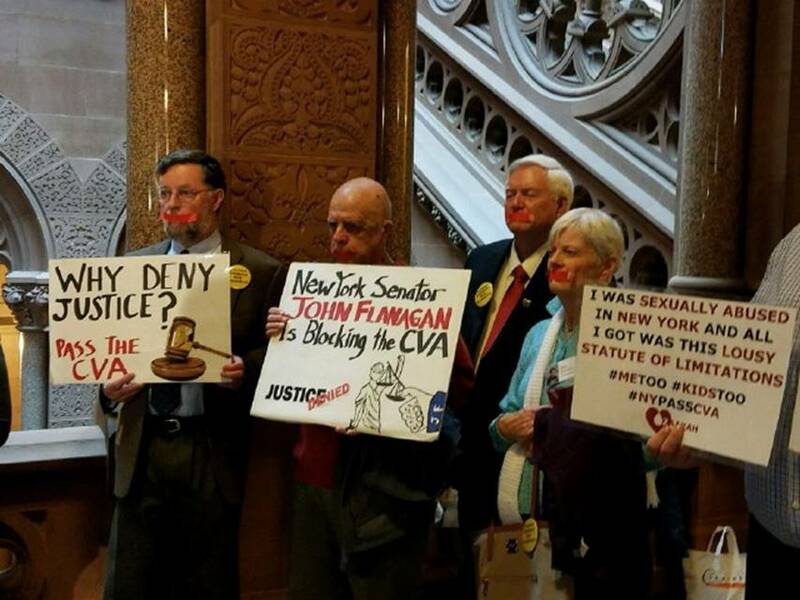 This involved a semi-heroic effort since all state agency testimony for the budget preceded items such as the CVA. Our speakers were called to present a little after 10:00pm. This entry was posted in Advocacy, Events by admin. Bookmark the permalink.